When it comes to moving house, there’s nothing more stressful than being unprepared. 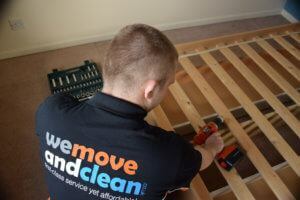 As one of the leading removal companies based in Swindon, we’re often asked by our customers if there’s anything they can do to make sure their moving day goes smoothly. So, here we’ve provided a few tips for you. By following them, your house move is sure to be a success. First things first, and this is an important one – It’s essential to think about the order items will need to be loaded in. After all, there’s a ton of furniture in the average house and getting around to access the heavier items can be difficult if there are boxes blocking the way. Your furniture and white goods will be loaded first, so if you leave easy access to these items without any boxes in front of them the whole job will go a lot quicker. You’ll be pleased to know that your furniture and white goods will be protected with padded covers to prevent marks. Removal companies across the UK transport electronics and white goods daily, but to make the job run smoothly, it’s essential you know what to do with them. Disconnect wires and secure hoses on your white goods to prevent trip hazards. Store your disconnected computer and TV wires separately from each-other – and that way you’ll easily set everything up again! Tip: Allow plenty of time to empty and defrost your fridge and freezer. This will prevent water from dripping and damaging items in transit. Plan in advance where your furniture will go in your new home (i.e. Living Room, Bedroom 1 etc). Either use masking tape and pen for labelling or buy coloured stickers. Planning saves time on the day, so that we’ll know where you need everything to go. Tip: It’s best to avoid marker pen because this will damage your furniture. Start packing well in advance and write on a box where it should go in your new place (i.e. Living Room, Bedroom 1 etc). Labelling will reduce delays and you’ll find your possessions in the rooms you want. Make sure you don’t leave any loose items. We also provide a packing service, which many people think is worth every penny. Tip: Getting rid of some unnecessary junk around the house not only makes packing and preparing for a move easier, but it can also help reduce your house move costs and helps you to start afresh in your new house. We’ll provide free of charge wardrobe boxes which are convenient for moving garments and will definitely help you with packing. Unless otherwise agreed they will be delivered when we arrive and collected before we leave your premises. Tip: There is no need to empty your chest of drawers if the drawers can be easily taken out. It will decrease time spent on unpacking and folding all those items of clothing again. It’s the last thing you’ll feel like doing once you’re all moved in! Allow space for 3 cars at both properties. Often, removal companies take up a fair amount of space when unloading. Perhaps you could ask a neighbour to move their car if need be, or reserve the space with your car and bins. It’s important to let us know if there are any parking, height or weight restrictions. Tip: Don’t forget to arrange a parking permit if need be. With the issue of getting in the way in mind, it’s often a good idea to make arrangements for child care too. This is so that your children aren’t running around, as this slows things down – and if you have animals, make sure to use a pet carrier to stop them running outside. It’s best to avoid arranging decorators or carpet cleaners on your moving day at either property, although we can provide a cleaning or carpet cleaning service for you when required. If you do it on the day, tradesmen and removal workers are likely get under each other’s feet. By getting organised early you’ll have peace of mind and prevent delays for a smooth-running house move.